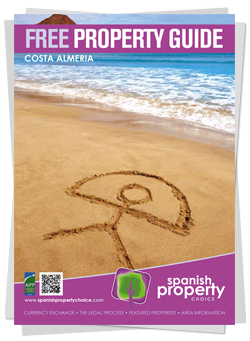 Inspection Visits-Thinking about buying a property in Almería? ARE YOU PLANNING A VIEWING TRIP TO SPAIN? If you are looking to purchase a property in the beautiful province of Costa Almeria for maybe an investment, holiday home or to maybe start a new chapter in your life for you and your family, then we would suggest a property and area viewing trip would be an essential part of your planning process. 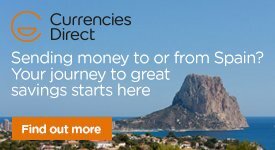 SPANISH PROPERTY CHOICE ARE HERE TO HELP! Many agents work on the pretence that they will offer free accommodation, free flights and transfers to potential purchasers, with the idea that if some of the visiting clients buy their inflated overpriced houses, these sales will cover the cost of those clients who do not buy. THERE IS NO SUCH THING AS A "FREE LUNCH"
Be aware that you may end up potentially worse off in the end, with high pressure salesmen who's next pay cheque is based on if you buy or not. They have to cover their costs of your visit one way or another and they will make sure you have an itinerary that ties you to them to make sure that happens. They are called the ball and chain "agent". Spanish Property Choice are a family run business built on traditional family values and customer care and we believe your viewing trip to Spain should be specifically organised for you to take advantage of our vast knowledge of the area and the properties but without the high pressure sales tactics. YOU our clients are so important to us! and we are so passionate about our little oasis in the sun that we want to share it with you. We would like to offer you with no ties attached our full range of services, from inland and coastal property sales, our rentals, right through to commercial sales and legal and financial services. We can help you with preferred rate accommodation, car hire and we are happy to source flights from your chosen airport to either Almeria, Corvera, Granada or Alicante airport. If you rent a property from our rental division and you purchase a property through Spanish Property Choice on your visit, we will REFUND 250€* towards the cost of the accommodation to you, as a big thank you for purchasing through our company. If you feel this option is not for you or you believe there is a better way of accommodating you, please let us know as we appreciate any feed back we can gain so as to improve our service to you the customer. (*All offers are subject to availability and at the discretion of Spanish Property Choice. Terms and conditions apply).